WELCOME HOME to this very well maintained and updated home in Marbella. Mesa taxes, Gilbert school districts! Close to 202, 60, shopping and restaurants! Upgrades in the past 2-3 years include: Tiled flooring in all but bedrooms, Corian counters in kitchen, exterior painted 2016, and more! This cozy home, and all of the loving care given it, is awaiting you! Disclaimer: This property was available at the time of this ad creation. It may now be under contract or may have offers. 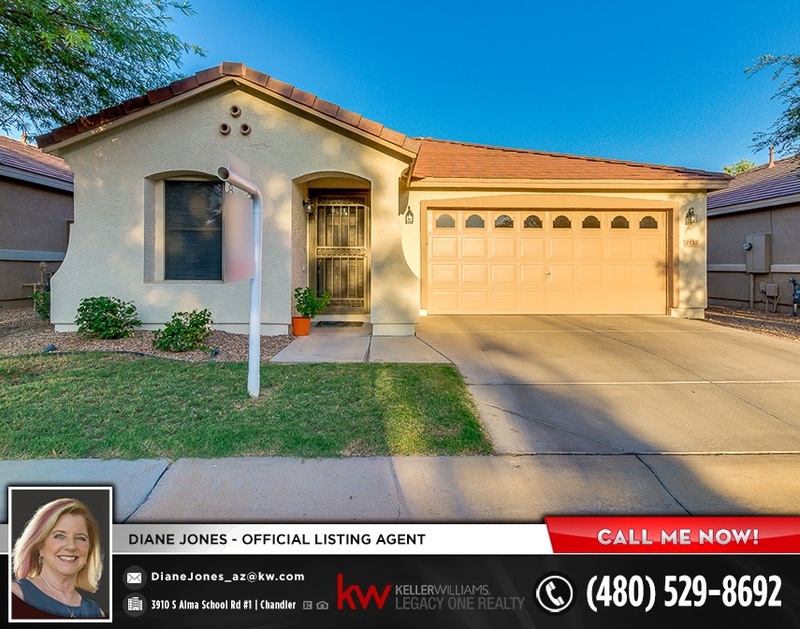 Please call Diane Jones at 480-529-8692 for current information about this property. Provided Courtesy of Diane Jones, Keller Williams Legacy One Realty. Each Office is Independently Owned and Operated.